Gamakatsu Wicked Wacky Hooks - 4/0. 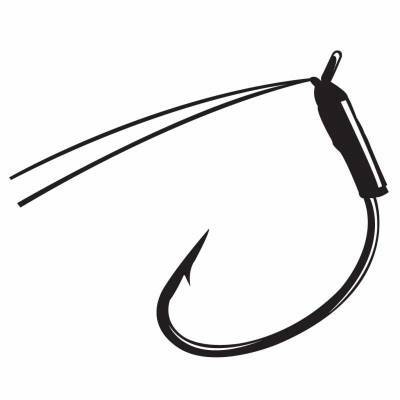 Standard Shiner hook with a durable hand-tied weed guard. Innovative hollow tube is hand-tied on the shank. Simply run the tag end of your line through the tube, tie on your weight, and pitch into the heavies cover without fear. NS Black. Loose pack of 3.